XD|GE provides a full range of porcelain and polymer housed IEC rated insulators for AC and DC transmission, substation, and distribution applications. All insulators are produced in our new facilities, and the isostatic production processing line is one of the most modern in the world. 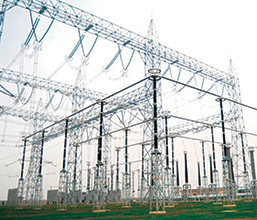 XD|GE solid core post insulators are widely used in power plants, transmission substations, distribution substation and high voltage power equipment up to 1100kV. These solid core post insulators are used in applications for both insulating and structural support of live components.